who seem to thrive with that type of coach. was let go 2 weeks before the end of the season. He still got his name on the Cup that year; he was kept on as a scout. 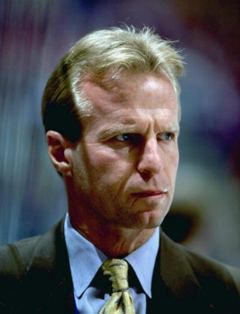 He left the Devils to coach the Boston Bruins for a couple years, but was let go in the same fashion. stay there until the opening months of the 12-13 season. Last I knew, he was an assistant coach for the Abbotsford Heat of the AHL during the 13-14 season.